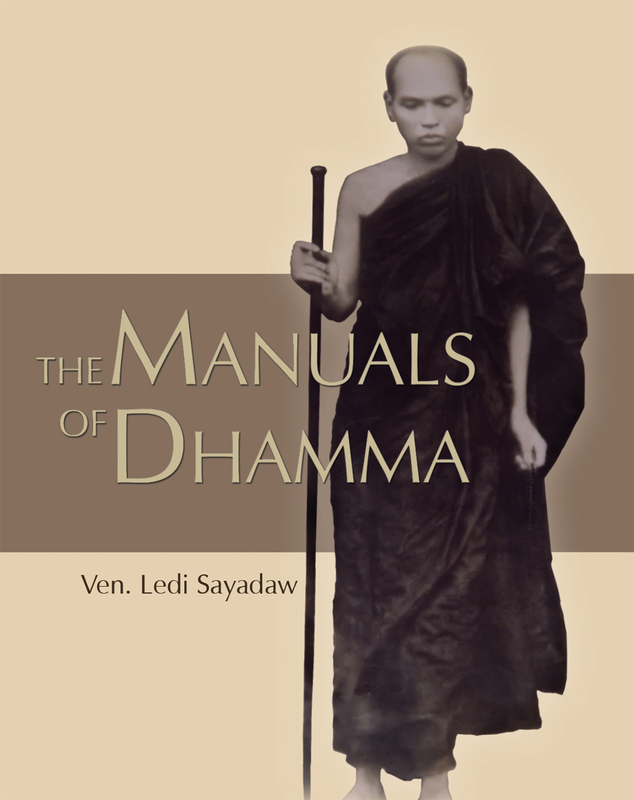 This is a collection of the manuals written by the great meditation master and Abhidhamma scholar Venerable Ledi Sayadaw. This Pariyatti Edition has a bigger page size with larger text, a stronger spine as well as a new cover design. Ven. Ledi Sayadaw was an invaluable link in the chain of teachers that in modern times has included Sayagyi U Ba Khin and S.N. Goenka. The Manuals of Dhamma includes The Manual of the Four Noble Truths, The Manual of the Factors Leading to Enlightenment, The Manual of Right Views and more. The reader will find a great treasure of information as well as inspiring guidance for the practice of Dhamma. Initially I thought this Manual of Dhamma has the same content as in Manual of Buddhism which quite difficult to find nowadays. Fortunately we can find the remaining two dipani in two other separate books (A Manual of the Excellent Man and Manual of Mindfulness WH 431-32). These manuals (dipanis) become my prominent source in my on-going journey in learning and practicing Dhamma). Thank you for making this manual available. Very good translation, always nice to have around for review from time to time. A must for keeping a good practice and for helping during the rough patches of uncertainty. I keep it handy. Well organized access to the source material, everything Goenkji presented.